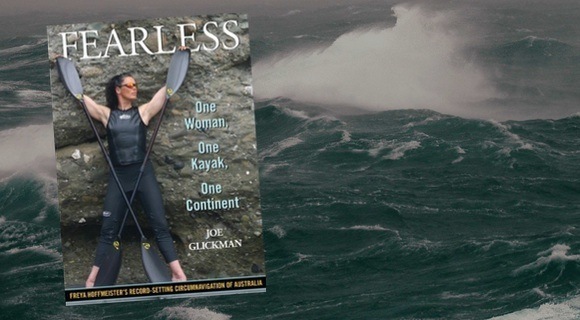 There are too few people in the world whose actions are truly inspiring, and when I think about kayaking there is one name that instantly springs to mind – Freya Hoffmeister. I’ve been following Freya’s blog now for several months, as she takes on a “little” adventure that involves kayaking around Australia! If you’ve never heard of Freya, her background goes something like this; competitive gymnast, competitive body-builder, record-holding skydiver, champion greenland-style paddler and the circumnavigation of both Iceland and the south island of New Zealand amongst other things. 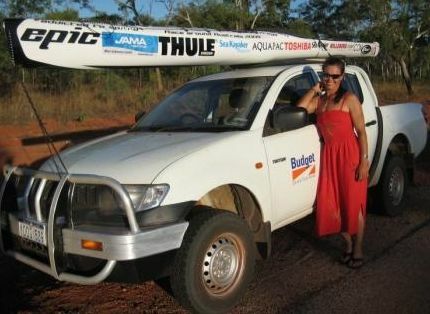 She is also a business owner and a mother, and as I mentioned before, is on a year-long adventure kayaking around Australia. Australia is an enormous land-mass and with a myriad of dangers. 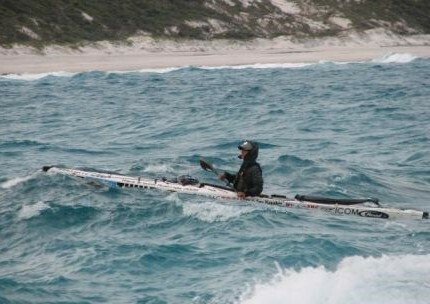 Ocean storms, Antarctic winds, huge sharks, salt-water crocodiles and hundreds of kms of cliffs are just a few of the obstacles for paddlers. Its circumnavigation by kayak has only happened once before, and anyone taking on such a gargantuan task must, quite frankly, have cojones as big as footballs! Freya is now somewhere on the southern side of Western Australia, about to take on the Southern Ocean and some of the toughest coastline Australia has to offer. She posts blog entries and photos regularly so I highly recommend you visit her site and keep track of this remarkable journey. And if you enjoy following her antics, throw a few dollars her way to keep her in supplies for the rest of her journey. You find the entry where the shark bit her boat yet? :-O I’ve been following it for a while. She’s gone through some amazing things on this trip. Yeah, what a terrifying night that must have been! It’s my greatest kayak fear I must admit. Big fan of Freya! Truly inspiring as you say. Not to take anything away from Freya, but have you seen the trip that Renata Chlumska made aorund the US? 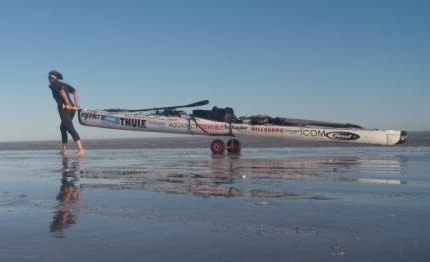 Not only did she paddle the west and east coasts, but also towed her Prijon Kodiak (what a great boat :-)) behind a mountain bike across the continent so she could paddle up the other side. Stored the bike and trolley inside the yak! 18,000km in 478 days.